1. 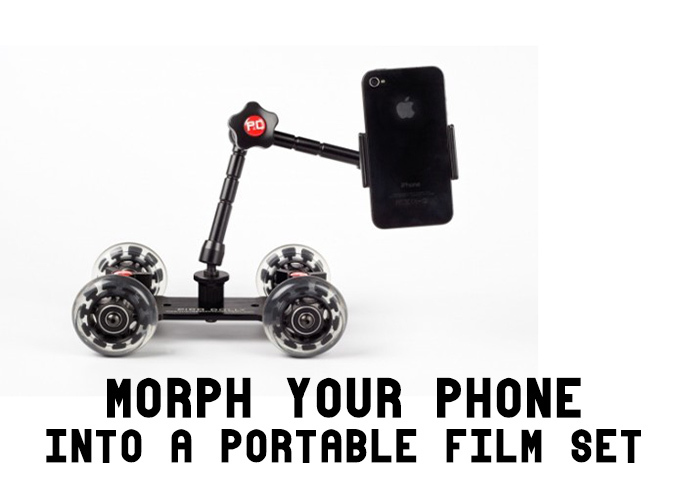 There’s An App for That: Okay, it might not be the most sentimental of gifts, but these mobile apps could really come in useful for your favorite filmmaker. From video editing to shot composition, these filmmaking apps will help make your life easier. 3. Screenwriting Software: You might want to find out what sort of computer they use before investing in software, but there are any number of software tools on the market, including Final Draft, Movie Magic Screenwriter 6 and Fade In, to name just a few. 4. For the Aspiring Editor: No longer do you need to spend thousands of dollars on an editing system. You can buy Final Cut Pro X at the Mac Store for just under $300.00. 5. Visual Effects: For DIY after effects, there’s no better option than Adobe After Effects. Check out the various options (at various price points) here. With an Adobe Creative Cloud subscription, you get the latest version of Photoshop in order to edit photos and build custom graphics. 6. GoPro: Pricing on these wearable and mountable cameras can range from as low as $129.99 to as high as $500.00. Plus there’s also a selection of (more affordable) mounts, accessories and software here. 7. A Tool Belt: It’s a must-have for anyone who works in G&E (i.e. grip, gaffer, best boy) or production design. Assistant camera men and women, and in some cases cinematographers, might find a tool belt to be a useful method of storage and organization. Home Depot has a large variety of its tool belt inventory available to view online. 8. Squarespace Account and Custom Domain: For the filmmaker that has put off building digital awareness about their talent, help them set up their own web site over at Squarespace. Talk about a gift that keeps on giving!